The Global Institute of Logistics (GIL), in partnership with the Port of Shenzhen, are honored to welcome you to the fifth World Port Strategy Forum (WPSF) here in Shenzhen, China. “The World’s Leading Port Authorities: Their Strategies and Case Studies"
Building on over 20 case studies drawn from ports around the world, together with academic comment and our own independent research and literature review, the report demonstrates the steps taken by first mover port authorities to emerge as port logistics strategists, facilitating the development of integrated port communities. the Reformation taking place in their sector and the 20 Thought Leaders and Early Adopters who the Institute have identified as leading the change. the Information, Best Practices and Key Performance Indicators by way of Case Studies from the ports driving the change. the Transformation tools developed by Thought Leaders and Early Adopters in the pursuit of what is now accepted as global best practice for port authorities. In honour of the ports identified, and to recognize their contribution to Best Practice, we formally presented each port with ‘Best in Class’ accreditation at the forum’s Welcome Banquet which took place the evening before the event. Delegates had the opportunity to learn from, and benchmark against, the experience of this esteemed peer group. The World Port Strategy Forum (WPSF) is the annual general meeting of the Port Authority members of the Institute and takes place each October in the Shenzhen. The Forum provides members of the Institute from across the world to network and to hear a detailed report on the activities of the Institute for the previous 12 months. In particular it is an opportunity to hear first hand presentations from thought leaders who have been identified by the Institute to share their experiences in that particular aspect of Port strategy.The Forum is then in a position to interact with the speaker and case study and debate how the case maybe relevant to their particular port etc. Finally, the Forum sets the agenda for the following years research program which in turn informs the activities of the Institute over the following year. Enjoy the forum, the debate and the opportunities. As event host, I am honored to invite you to the World Port Strategy Forum on the 14th of October in Shenzhen China. The Chinese Ministry of Transport and the Shenzhen Municipal People's Government will be jointly hosting the 2011 China (Shenzhen) International Logistics Fair (CILF) between the 12th and 14th of October. The event will take place at the Shenzhen Convention and Exhibition Centre, featuring an exhibition area of up to 60,000 square meters. It is expected that 1,200 exhibitors from over 30 countries and regions will participate. CILF has developed into the largest logistics exhibition in Asia, and the second largest in the world, providing a collaborative platform for networking and cooperation. The Shenzhen Port Authority, with the support of the Global Institute of Logistics and CILF, will host the World Port Strategy Forum - CEO Meeting on the 14th of October for a one day conference. We hope that you will partake in this rare opportunity to build relationships with other port authorities in order to improve port services. At this forum the Global Institute of Logistics will publish the findings of its four year study into the modern Port Authority development. Over the four years the Global Institute of Logistics has carried out research in Asia, Africa, Australia, Europe and North America into the container supply chain from the perspective of the Port Authority. This forum will bring together executive-level speakers from Shenzhen's sister ports and the international maritime community to share, learn and benchmark their experience of best practice in order to identify the best global examples of port and shipping management. We look forward to welcoming you to Shenzhen! Ms Shi Wei, member of CCP, started her career in June, 1988 with a master degree and economist certification. She used to be the Director of the Department of legality of Shenzhen Communication Bureau, Deputy Director General of Shenzhen Highway Bureau, Commissioner of Shenzhen Highway Bureau Commission of CCP, Secretary of Discipline Supervision Commission of Shenzhen Highway Bureau Commission of CCP, and Director General of Western Transportation Bureau of Shenzhen Transport Commission. Ms. Shi is now the Deputy Director General of the Transport Commission of Shenzhen Municipality (Ports Administration), assisting the Director General and CCP Committee to manage port, shipping, and logistics freight administration. She is in charge of the Department of Port & Shipping Administration, the Department of Logistics Development, the Eastern Transportation Administration Bureau, the Port, Shipping and Freight Administration Bureau, Shenzhen Port Pilot Station, and the Shenzhen Branch for the Vessel Inspection Bureau of Guangdong Province, and also responsible for the supervision of the incorruptible port administration construction, industry services quality, letter & visit system, stability maintaining and production safety. Mr. REN Weimin was born in 1966 in Beijing. Having obtained a bachelor degree from Dalian Maritime University and a master degree in maritime administration from World Maritime University, he is currently Deputy Director-General of the Department of International Cooperation, Ministry of Transport of China. 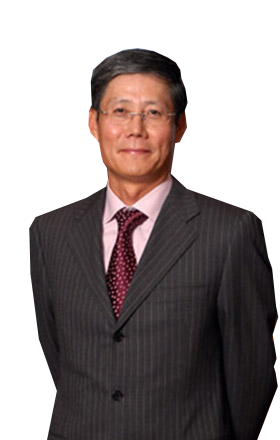 Mr. REN started working in 1989 and successively served as Deputy Director and Director of the Division for Regional Affairs, and Director of the Division for International Organizations, Department of International Coopeartion. 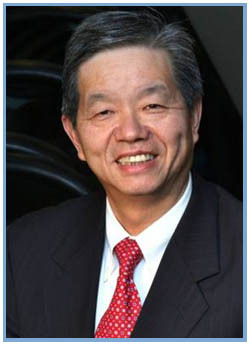 He took office as Deputy Director-General of the Department in 2009. Mr. REN played a role in negotiations on China's accession into the World Trade Organization, and on the conclusions of several important bilateral, regional and multilateral transport treaties, such as the China-Europe Maritime Agreement, the International Road Transport Agreement within the framework of the Shanghai Cooperation Organization, the International Convention on the Arrest of Ships, etc. ; advanced transport cooperation between China and the United States, in Central Asia, and so on; assisted Chinese companies in "going global"; promoted infrastructure connectivity with neighbouring countries; resolved legal problems in applying international maritime conventions to Hong Kong after its return to China; and participated in emergency response activities, e.g. evacuation of Chinese nationals from Libya and the search for missing MH370. Mr. Liu Xiaohua, started his career in June, 1988 with a master degree on transport planning and management and economist certification. He used to be Director of Highway Transport Management Division of DOT, and Director of Water Transport Division in Port and Shipping Administration of DOT. 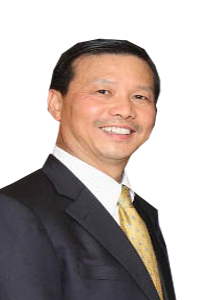 During the tenure, he was further educated in California State University, Sacramento (CSUS) in the United States which was set for senior management personnel in Guangdong Province, and later studied in the Party School of Guangdong Provincial Committee of CPC. Besides, he has served as Deputy Mayor of Ganzhou City in Jiangxi Province for two years. Mr. Liu is now the Deputy Director General of the Department of Transport of Guangdong Province (DOT), in charge of the Port and Shipping Administration and the Integrated Transport Division. He is responsible for the operation management of road transportation, urban public passenger transportation, taxi, metro and rail transit, the port and shipping management, and the integrated transport coordinating work. Meanwhile, he is also the Director of Port and Shipping Administration of DOT. 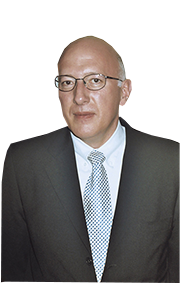 After studying computer science with a minor in economics, he started his career path at Software Design & Management AG (Ernst & Young Group), where as a member of the Management Board he was responsible for the Hamburg and Hanover subsidiaries from 1997 on. In 2000, he became a divisional director with Systematics AG (later EDS). 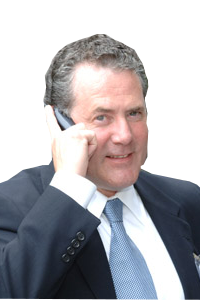 From July 2002, Jens Meier was the CEO of tts Holding GmbH & Co. KG. With the sale of the tts Group to the Fiege Group, Mr Meier was invited on to the board of Fiege Holding Stiftung & Co. KG, Greven. 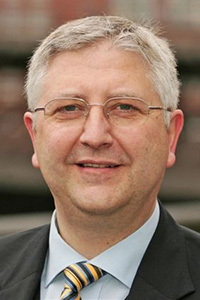 Jens Meier has been a Director of HPA since 1st April 2008. Mr. Qu Jian, Post-doctor in economics of Fudan University, Researcher, National Registered Consulting Engineer, graduated in Fudan University in 1989 with a bachelor’s degree in management, then obtained master’s degree in economics and Ph.D. in Sichuan Academy of Social Sciences and Nankai University, respectively. 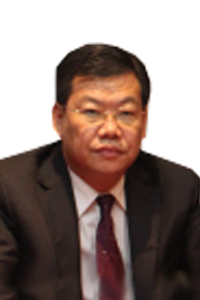 Qu Jian started his career in September 1992 in China Development institute, in which he used to serve as deputy director of Macroeconomic Research Centre, director of Shenzhen Economic Research Center, director of Regional Development Department, and assistant to the President of CDI. Mr. Qu Jian is now Vice-President of China Development Institute, Ministry of Commerce appointed expert, China Engineering Consulting Association Distinguished expert, government special allowance expert, and the chairman of Industry Sector, Shenzhen Decision-making & Consultation Commission. Mr. Qu Jian’s main research areas are on regional development, foreign direct investment, and industrial planning. 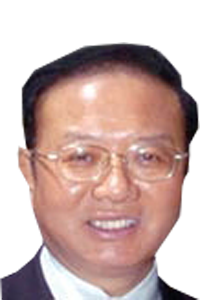 Mr. Qu has published over hundreds of papers and numbers of books; presided over hundreds of national, provincial and municipal research projects; provided advice to the decision-making of government at all levels; hosted the strategy study of a number of well-known multinational companies investing in China; finished more than thirty development strategy reports of listed companies and the feasibility study report of raising funds in market to investment projects; and received many domestic and foreign media interviews, often invited to participate in finance interview programs of Phoenix, CCTV and Shenzhen TV. Vice President of Sany Group, and the director of board of Sany Port Machinery Co. Ltd.
Zhongyin Li ：Male, born in 1962, senior engineer, received doctor degree from China University of Geosciences, and once studied abroad in Fukui University of Technology in Japan. He was assigned to work in Hunan Jianglu Machinery Group in 1986 after having received his master’s degree, and once served as chief engineer. After joining in Sany Group in 1998, he has devoted himself successively to Sany’s development as the president of the Beijing research institute of Sany Heavy Machinery Co. Ltd, the chief manager of Sany Heavy Industry Co. Ltd, and at present, as the vice president of Sany Group and the director of board of Sany Port Machinery Co. Ltd.
Major performance and achievements: presided over the development and design of SR series rotary drilling rig in 2003 when he served in Beijing Sany Heavy Machine Co. Ltd, which broke the monopoly of foreign brands and dominated the domestic market share in the first position since then；won the "2009 Beijing Outstanding Entrepreneur", "National Model Worker of machinery industry" and so on；has 24 pieces of national authorization patents since 1999, and compiled the book Rotary Drilling Rig and Construction Technology. 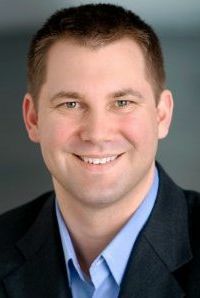 Alan Murphy has 8 years of experience in Container Shipping research and analysis, providing insight and intelligence to a broad range of stakeholders in the logistics community, through quantitative research techniques, econometric modeling, and database architecture development. Alan has a degree in business economics, and joined the global Market Intelligence department of Maersk Line in 2004, coming from a position as Finance Research Analyst at Copenhagen Business School. At Maersk Line Alan was initially responsible for developing, implementing, and managing central systems for measuring and analysing customer satisfaction, vessel utilization, market developments, and internal performance. Later, as Senior Analyst of Maersk Line's Intelligence and Analysis section, Alan was responsible for global Supply/Demand modeling, long term forecasting, market and competitor analysis, and Senior Management reporting. After leaving Maersk Line in 2010, Alan continued to support the Logistics community through ARM Consulting, helping companies automate manual processes, reduce costs and increase market reach based on actionable information. In January 2011, Alan partnered with former Maersk Line and TCC Intelligence Director, Lars Jensen, founding SeaIntel Maritime Analysis, an industry-leading analysis and consulting firm providing actionable intelligence to the global Container Shipping industry. Born in Bruges (Belgium) in 1951, Vincent holds a Master’s degree in applied economics from the University of Antwerp. 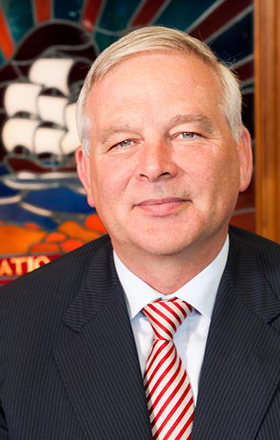 Prior to joining the Port Authority of Bruges-Zeebrugge he served as managing director for Care Centre N.V., managing director for Sea-To Terminal N.V and managing director for Sea-Park N.V. . He also served as Director for Sea-Tech N.V. and for the APZI (Association Port of Zeebrugge Interests). 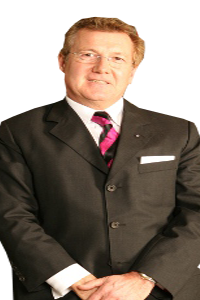 Presently he holds the position of Vice President for the Port of Zeebrugge, serves as an advisor to the port’s short-sea shipping company PortConnect N.V., is an Honorary Consul of the Kingdom of Norway, and is Director of the WC Hanze International Club. 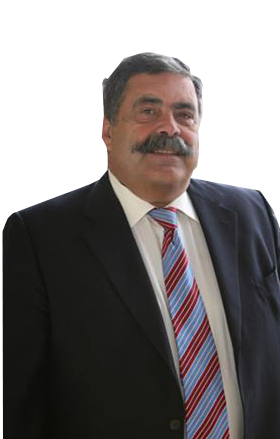 Mr. Zaragoza is the current President of the five seaports of the province of Santa Cruz de Tenerife, Spain.Dedicating much of his professional career to the public sector, he began in the Regional Ministry of Education as the General Manager of Planning before holding the post of General Manager of Assets and Recruitment for the Regional Ministry of Economy and Finance. 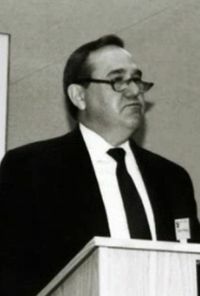 He also served as Chief of staff for the President of the Canary Government and Regional Deputy Public Administrations Minister, before representing Spain in the Commission on sustainable development in the local and regional European Congress.Prior to being appointed the Port Authority President, he served as the Regional Minister for Agriculture, Livestock and Fisheries of the Canary Islands. 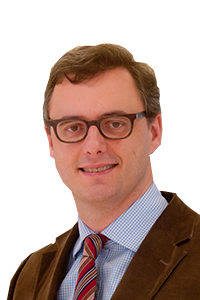 Denis has been appointed as the TEN‐T Project Director. He was chosen because he worked on the original Strategic Development Plan (SDP) review in 2010 and all associated work streams. Denis, who joined the company in 1990 as Senior Engineer Development was appointed to the post of Manager Engineering Services in 1996. He has acted as project manager on all port capital development projects since that time and he has first time knowledge of the Global Project and all the activities set out herein. As a member of the Port’s senior management team he has delegated authority from the Chief Executive and board to drive this project. 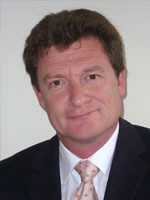 Denis is a Fellow of the Institution of Engineers Ireland, and sits on the CASP Transport Advisory Group. Jose is the General Manager for Tenerife Container Terminal, bringing over 25 years of industry experience and deep knowledge of the maritime transport industry. He holds a Masters Degree in International Shipping and Distribution from the Plymouth Polytechnic in Devon, UK. His career began at sea, sailing with Anders Jahre A/S and others. In 1986 he became Captain of the M/S IBF Trader, working in close collaboration with the Chartering Department of the American Company "International Brokerage & Finance". 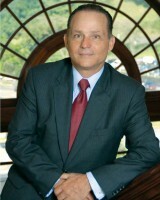 Throughout his career he has held several high-level positions where he has consistently delivered impressive results. He participated in the acquisition of Sealand and PONL when he worked for Maersk Line, reaching the position of country manager (IBETOP) while in Maersk. He was also responsible for the creation of the new agency set-up for Spain and Portugal for United Arab Shipping Company. Mr. Wei Tangsheng has 20 years of experience in Logistics and IT industry, presenting insight and unique perspectives to integrated logistics services via his academic and career experience in IT and logistics industry. Mr. Wei graduated from University of Fudan with bachelor’s degree and majored in computer and science in July 1985. He finished his Money and Banking program in Xiamen University in July 1996, as a master in economics. Mr. Wei started his career at computer and science industry from July 1985 in Shenzhen. In 1995, he started his managerial career in Huaming Company after being appointed as the general manager. Mr. Wei, present general manager of EDI centre Shenzhen, had made differences in Shenzhen logistics development with his lead of EDI centre Shenzhen. He is also invited as a member of “modern logistics development committee Shenzhen” for his great contribution to Shenzhen maritime logistics. 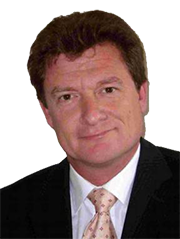 Simon Shore is Managing Director of Cirrus Logistics a UK company providing decision support solutions to local and global corporations. The company supplies software and services that drive value for its customers by providing planning, simulation and modelling data at operational, tactical and strategic levels to support better business decisions. Simon studied Engineering and began his career in the semiconductor Industry where he was Chairman of the Design Review Board. 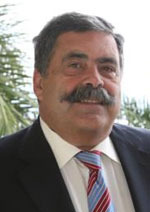 He went on to focus on designing and supplying software solutions and held a number of Directorships for leading supply chain software companies delivering solutions covering international trade, warehousing and distribution. Simon brings 25 years of driving innovation and business process improvements to the supply chain and manufacturing industry. 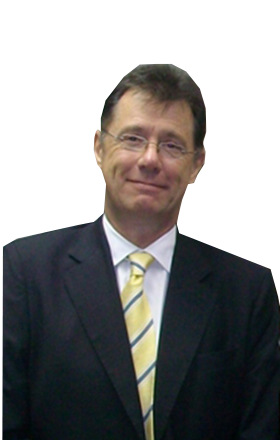 Kieran Ring began his career in the early 1980s working as an industrial engineer in the European multinational manufacturing sector. By the late 1980s he was working as a publisher in the trade, technical and scientific media where he was directly responsible for journals and magazines, which documented the rise of foreign direct investment (FDI). 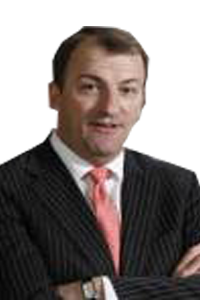 In 1989 he was appointed Deputy Publisher to the Paris-based Eurexpansion Group with responsibility for Ireland’s ‘Sunday Business Post’. 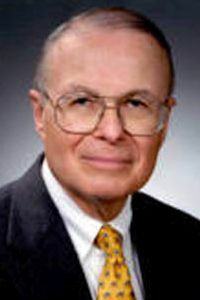 In 1995 he was appointed Executive Director of the European Institute of Transport, where he established the Global Logistics Forum, the forerunner to the Global Institute of Logistics. 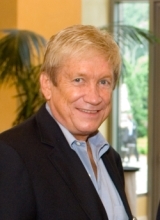 The Global Institute of Logistics was founded in New York in 2003 by Kieran Ring and the members of the Global Logistics Forum under the Chairmanship of the late Robert V. Delaney (Bob), the renowned US author and logistician. 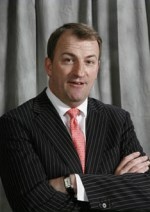 Kieran is its Chief Executive. Kieran is also joint-Chairman, with Mr Bernard Staender of Germanischer Lloyd Certification, of the Hamburg Committee. The Committee consists of a coalition of the stakeholders in the maritime logistics industry and is working to establish a commonly agreed standard to measure efficiency in global container terminals; the container terminal quality indicator (CTQI). Since the beginning of its construction, Shenzhen Port has been built and managed by port operators basically under the government’s integrated planning and macroeconomic control programme. The operators are solely responsible for financing, construction, operations and management, and profits or losses according to market economic conditions. On the principle of separating governmental functions from enterprise management, the government grants a series of beneficial and supportive policies in terms of policy making, resource, finance and taxation while it does not involve itself in and interfere with the normal business activities carried out by the port operators. The governmental departments in charge of port administration are mainly responsible for planning, legislation, reform and administration. Currently, the port administrative body in Shenzhen is the Transport Commission of Shenzhen Municipality (Ports Administration). This is a unique governmental department in China in which it has the primary function of administering the wide network of integrated transport services including roads, waterways, civil aviation, railways, urban public transport and the postal service. Please CLICK HERE to download a copy of the Information Booklet for WPSF 2014 (in Chinese). The World Port Strategy Forum (WPSF) is the annual meeting of the world's leading SISTER PORTS. 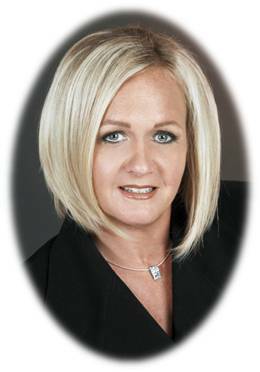 The forum fosters the exchange of best practice and strategy. 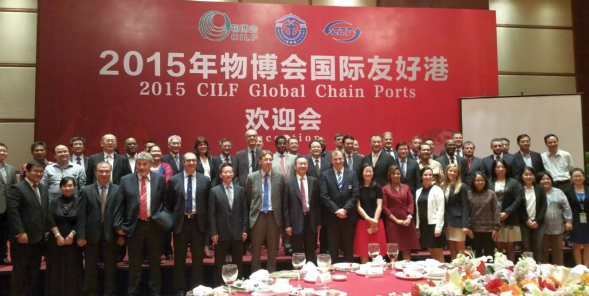 Member ports are committed to developing a formal multilateral agreement under the brand name CHAINPORT. The Ports of Shenzhen & Virginia signed a formal agreement in 2010 to establish ties. Sister port relationships strengthen the economic and commercial bond between the respective countries, encouraging trade vitalization and service improvement.